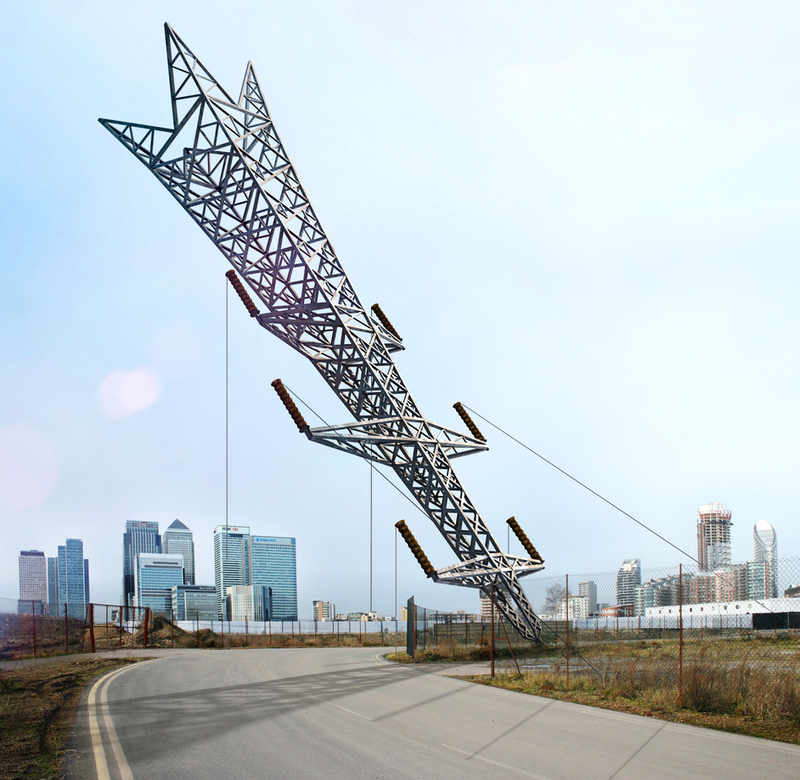 Conceptual artist Alex Chinneck elevates everyday structures into extraordinary ones and with 'A Bullet from a Shooting Star', a landmark installation for the 2015 London Design Festival, he has taken a regular electricity pylon and turned it upside down. Referencing the industrial history of the Greenwich Peninsula - the site once included the largest oil and gas works in Europe - Chinneck created a 35-metre high steel structure, leaning like the Tower of Pisa. Designed to be seen from a distance, it can be viewed from North Greenwich Station, the Emirates Airline cable car, the Thames Clipper service, Canary Wharf and by passengers on planes flying in and out of City Airport. At night, the illuminated work acts as a literal beacon and project a maze of latticed shadows. What are the best dining options near A Bullet from a Shooting Star London? A Bullet from a Shooting Star gyms, sporting activities, health & beauty and fitness. The best pubs near London A Bullet from a Shooting Star. A Bullet from a Shooting Star clubs, bars, cabaret nights, casinos and interesting nightlife. Where to have your meeting, conference, exhibition, private dining or training course near A Bullet from a Shooting Star. From cheap budget hotels to luxury 5 star hotels see our special offers for Greenwich Peninsula hotels, including InterContinental London - The O2 from 84% off.